The nursery staff consists of an Infant/Toddler Lead Teacher, Teachers and Assistants. The staff provides a warm, safe and nurturing environment for the children. The environment incorporates a variety of touch and movement experiences. 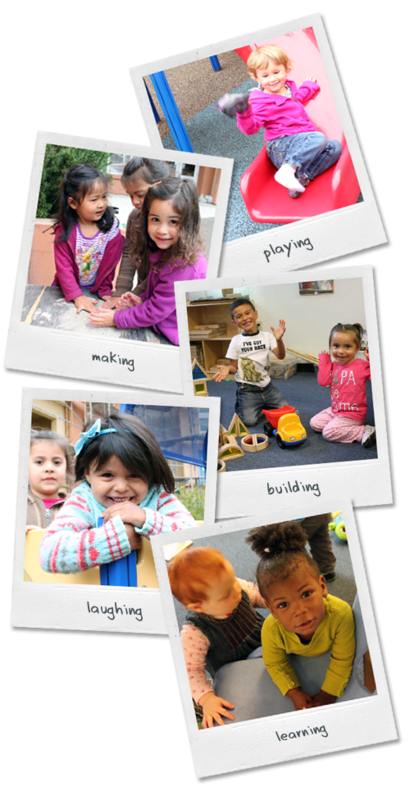 Activities include role play, art, music, and outdoor play. Eight infants form four months to two years of age are enrolled in the infant room and eight children from two years to three years are enrolled in the toddler room. This component provides quality infant care to the children as they attend The Family School. The Preschool staff includes a Lead Preschool Teacher, Teachers and Assistants. The Preschool Teachers are responsible for the learning experiences and curriculum planning, including developmental assessments and daily activities to meet the needs of each individual child. An outdoor/indoor program offers interrelated experiences in language, art, dramatic play, music, gross motor development, field trips and movement. Sixteen children from three years through fives years are enrolled in preschool. The children break out in small groups based upon their age and developmental level. The Family School provides a large outside space with playground equipment, tricycles and toddler ride-on toys, water and sand table, balls, sidewalk chalk and more. The outside play area is located in the building center behind the classrooms. All ages spend time outdoors, weather permitting. Children also go on neighborhood walks including field trips to the library and in conjunction with preschool projects. breakfast is served between 9:00 and 9:30 a.m.
a hot lunch is served between 11:30 a.m. and 12:30 p.m.
an afternoon snack is served at approximately 3:30 p.m. Infant mealtimes fluctuate according to individual Needs and Services Plan. An outside vendor caters the food and delivers the meals each day to the center for the teachers to serve the children. For those children who arrive very early, a morning snack is offered. Tree Frog Treks provides our science and nature enrichment program. Preschool and toddlers have weekly class sessions with Tree Frog Trek teachers. The Family School hosts potlucks for Christmas (and what other holidays?) during school hours. Families are invited to attend and bring a dish. It's a good way to get to know other parents.